Well, moving is in full swing over here. We have been packing our hearts out which has lead to having little time for anything else. Our deadline is quickly approaching so it will be a busy few weeks. Figuring out the best way to move our stuff from Louisiana to Dallas took a lot of research. I figure I may as well share my experience with it all since I know seeing something like this would have helped me. Moving across the country is a whole lot more involved than moving locally. You have to worry about properly packing things so that they do not break in the move and you also have to do everything in one trip, instead of breaking it up. Finding the right way to transport your stuff is key to a successful move. Here are the different options you may have. This is by far the most expensive, but also the easiest. There are usually different options for a full service move. The first being they will pack everything for you, load it on a truck, transport it, and then unload and unpack for you. The second option is to have them do just the loading, transporting and unloading for you. We actually chose this option for our move from Minnesota to Louisiana. At the time, it made sense because once we got to Louisiana we would have no help unloading a truck. And since I am basically useless in the carrying heavy objects area, we knew we would need hired help. -They do all(or most) of the work for you. -You don't have to worry about transporting your items. -If they break anything, they will pay to replace it. 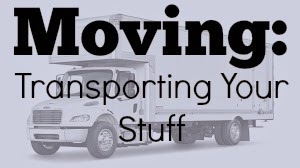 -Your stuff is usually safer because they are experts at packing a truck. -It is by far the most expensive. It is two to three times more expensive than any of the other options. -The company we used had transportation times that could take up to three weeks. Meaning, we would be without our stuff for that long. -Most companies use a semi to transport your stuff. Inside that semi, they usually have two or three different households so your stuff is mixed in with other people's things. -The moving company we used picked up our stuff in Minnesota, unloaded it in a warehouse in Minnesota, then loaded it on a truck to go to Louisiana. So there was more handling of our packed stuff than we realized. This also meant that they forgot three of our boxes in the warehouse. -The more your stuff weighs, the more you pay. They start with a base rate and then add costs based on the weight of your items. They have an estimator come in and guess how much your stuff will weigh, but they were way off with our stuff so it cost us even more once they actually weighed the items on the truck. The least expensive way to move your stuff, is to do it all on your own. 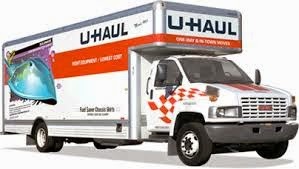 You rent a truck, pack your items, load the truck, drive the truck to your destination, unload the truck and then return the truck. This is a great option for those who are trying to save the most money and also those who are moving locally. For a long distance move, things get a little trickier. -You have full control over your items and will have full control. -Since you pack the truck your self, you are more likely to have items get damage if you do not pack properly. -You have to drive a huge truck across the country. That does not sound fun to me. -If you already own two cars, you will either have to tow one of them or get a third driver to help you drive all three vehicles across the country. Learn from our mistake-towing a car behind another car is extremely stressful. Don't do it. -You will need help to load and unload your stuff from the truck. -You are not covered if anything breaks. There are a couple of different options out there where there is a compromise between the two previously listed options. Most of these companies will drop off a container for you to load, you pack your own boxes, then they pick up the container, they transport the container, they drop off the container at your new location, you unload and unpack, and they come and pick up the now empty container. This was what we chose to go with because the thought of driving a moving truck across the country was not a good option for us and we wanted to save money. -It is less expensive than a full service move and just a little more than a do it yourself option. -The company will transport your items for you. -You are able to drive your own cars to your destination. -Some options allow you to have additional storage in your container for months at a time. Just in case you cannot move into your new place right away. -Your stuff is insured for up to a certain dollar amount while it is being transported. -You still have to pack your own items and load the container. -You will need help loading and unloading your container. -Transit time can take up to a week. This could be good or bad. -If you live in an apartment complex, you have to get permission to take up parking for your container. We decided to go with the compromise option. We looked at two companies- UPack and PODS. UPack is a small semi that they drop off for three days while you load, then they com pick it up, transport, drop off at new location and pick up again three days later. We really liked this option and tried so hard to make it work, but ultimately it didn't. While the semi is parked, it takes up two parking spaces. Since we live in an apartment, this was a problem. Also, with the way our move worked out, we will have a two week span where we will need to be out of one apartment, but cannot move into the other. So we needed our stuff to be stored for a few extra days. If we used UPack, it would have cost us an extra $400 for monthly storage which brought the price up to as much as PODS. UPack would be a great option if you were moving from one house to another house where parking is not an issue. In the end, we picked PODS for our move. They have a month of storage built into the price, the container only takes up one parking spot, and we have a great discount code from Richard's work that brought the price down to about the same as the UPack quote. 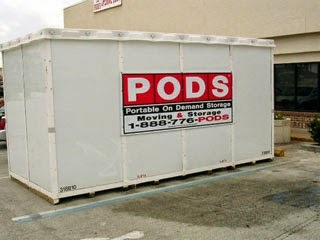 PODS ended up being easier to move from one apartment to another since it only takes up one parking space. To give you a comparison, our full service move from Minnesota to northern Louisiana cost us more than $4,000. We were quoted at almost $3,000 so they charged us way more than they said they would. 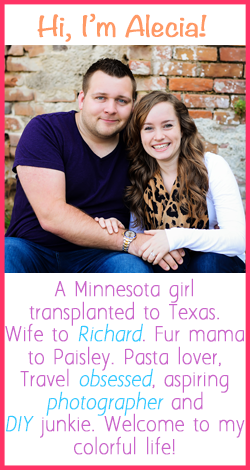 We had quoted UPack to go from Louisiana to Minnesota again and they quoted us at about $1,700. We then changed to quote to go to Dallas and the quote changed to $1,400. Our PODS quote to go to Dallas was $1,800 to start and then we were able to bring it down and extra couple hundred dollars by using a discount code. Using a moving truck would have been less than $1,000. So the price difference between the three options is pretty significant. To us, price was the most important deciding factor and we were glad to be able to find a good middle ground that was not too much more than renting a truck. Hopefully if you ever need to move across country, this will help you figure out what is best for your family!